This RH bill topic has been part of the daily news programs of the country for quite some time already. Debates between the Pro and Anti groups heated up as time pass by that later on almost became a church versus the state issue. I must admit, I'm pro-RH Bill but whenever I would be asked why I'm on that side, I can't say any valid reasons. I find myself not worthy to be on either side knowing that I wasn't able to read the entire Bill. I guess I need to step out of the picture first and clear everything in my mind before I take sides. Finding the full text of the Bill wasn't that difficult as I just googled it and I found the full text posted in the blog of the Jaromay-Laurente-Pamaos Law Offices. 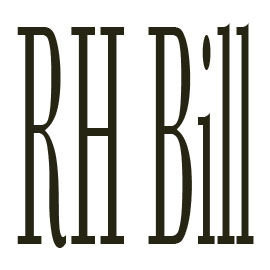 I hope all those people debating about this RH Bill was able to read it before they take sides and didn't merely based their reasons in the opinions of other people. It's a bit lengthy but I guess, you would be able to defend your side that well if you know what you're talking about. e) Any person who maliciously engages in disinformation about the intent or provisions of this Act. Feel free to report this one for public use as all of us has the right to information.